This paper describes the establishment and application of the 0/45 reflectance factor scale in the shortwave infrared (SWIR) from 1100 to 2500 nm. Design, characterization, and the demonstration of a four-stage, extended indium-gallium-arsenide radiometer to perform reflectance measurements in the SWIR have been previously discussed. Here, we focus on the incorporation of the radiometer into the national reference reflectometer, its validation through comparison measurements, and the uncertainty budget. Next, this capability is applied to the measurement of three different diffuser materials. The 0/45 spectral reflectance factors for these materials are reported and compared to their respective 6/di spectral reflectance factors. F. E. Nicodemus, J. C. Richmond, J. J. Hsia, I. W. Ginsberg, and T. Limperis, “Geometrical considerations and nomenclature for reflectance,” (1977). H. W. Yoon, D. W. Allen, G. P. Eppeldauer, and B. K. Tsai, “The extension of the NIST BRDF scale from 1100 nm to 2500 nm,” Proc. SPIE 7452, 745204 (2009). P. Y. Barnes, E. A. Early, and A. C. Parr, “Spectral reflectance,” , U.S. Dept. of Commerce, March1998. H. W. Yoon, M. C. Dopkiss, and G. P. Eppeldauer, “Performance comparisons of InGaAs, extended InGaAs, and short-wave HgCdTe detectors between 1 μm and 2.5 μm,” Proc. SPIE 6297, 629703 (2006). J. H. Walker, R. D. Saunders, and A. T. Hattenburg, “Spectral radiance calibrations,” , U.S. Dept. of Commerce, Jan. 1987. H. W. Yoon and C. E. Gibson, “Spectral irradiance calibrations,” , U.S. Dept. of Commerce, July 2011. B. N. Taylor and C. E. Kuyatt, “Guidelines for evaluating and expressing the uncertainty of NIST measurement results,” (1994). K. D. Mielenz and K. L. Eckerle, “Spectrophotometer linearity testing using the double-aperture method,” Appl. Opt. 11, 2294–2303 (1972). J. Root, Mt. Baker Research L.L.C, 2921 Sylvan Street, Bellingham, Washington 98228-0370 (personal communication, 2014). D. Hünerhoff, U. Grusemann, and A. Höpe, “New robot-based gonioreflectometer for measuring spectral diffuse reflection,” Metrologia 43, S11–S16 (2006). G. T. Georgiev, J. J. Butler, C. C. Cooksey, L. Ding, and K. J. Thome, “SWIR calibration of spectralon reflectance factor,” Proc. SPIE 8176, 81760W (2011). W. H. Venable, J. J. Hsia, and V. R. Weidner, “Establishing a scale of directional-hemispherical reflectance factor I: the Van den Akker method,” J. Res. Natl. Bur. Stand. 82, 29–55 (1977). 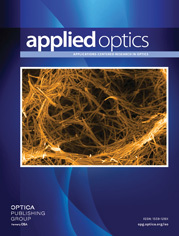 V. R. Weidner and J. J. Hsia, “Reflection properties of pressed polytetrafluoroethylene powder,” J. Opt. Soc. Am. 71, 856–861 (1981). “NIST/SEMATECH e-Handbook of Statistical Methods,” http://www.itl.nist.gov/div898/handbook/pmd/section1/pmd132.htm (accessed 6February 2015). P. Y. Barnes and J. J. Hsia, “45°/0° reflectance factors of pressed polytetrafluoroethylene (PTFE) powder,” , U. S. Dept. of Commerce, July1995. H. J. Patrick, C. J. Zarobila, and T. A. Germer, “The NIST Robotic Optical Scatter Instrument (ROSI) and its application to BRDF measurements of diffuse reflectance standards for remote sensing,” Proc. SPIE 8866, 886615 (2013). References are made to certain commercially available products in this paper to adequately specify the experimental procedures involved. Such identification does not imply recommendation or endorsement by the National Institute of Standards and Technology, nor does it imply that these products are the best for the purpose specified. Fig. 1. Measurement scheme of STARR. The illuminator, consisting of the lamp-based source and monochromator, is not shown for simplification. Fig. 2. Measurement scheme of the ISRF. Fig. 3. Plot of 0/45 reflectance factors with expanded uncertainties (k=2) for a sintered PTFE standard obtained using STARR and ISRF. Fig. 4. 0/45 spectral reflectance factor R as a function of wavelength λ of sintered PTFE, pressed PTFE, and ceramic samples. The inset depicts the shortwave infrared region in finer detail. Fig. 6. Linear least squares fits of the ratio R0/45/R6/di of spectral reflectance factor obtained using the 0/45 geometry to that obtained using the 6/di geometry as a function of wavelength λ of sintered PTFE, pressed PTFE, and ceramic samples and their respective prediction bands (shaded areas).